Photos by Brandon Macz: From left, Ward Fuentes, Eric Weir and Gunna Covert spent a decade working together at Marco in Two Union Square. Twenty years later they’ve opened Park Salon & Spa together in Madison Park. There are five salon chairs at Park. 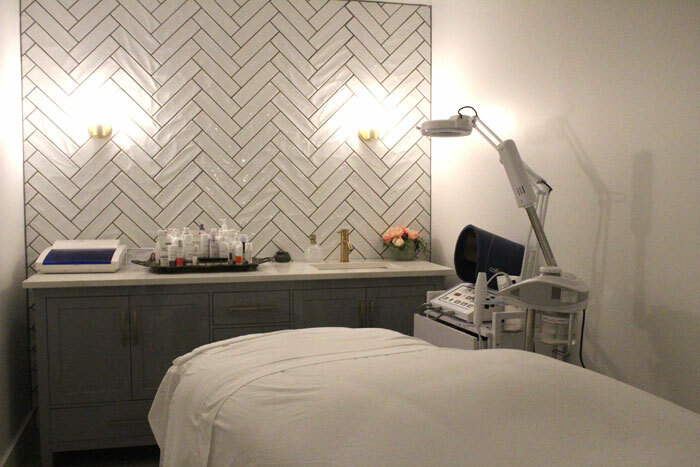 One of three skincare rooms at Park Salon & Spa. Gunna Covert spent a decade working with Ward Fuentes and Eric Weir at Marco in Two Union Square. That was 20 years ago. Covert had been looking in Madison Park for a location in which to open a spa for years, attracted to the neighborhood for its ease of parking and proximity to McGilvra Elementary, where her children attend school. 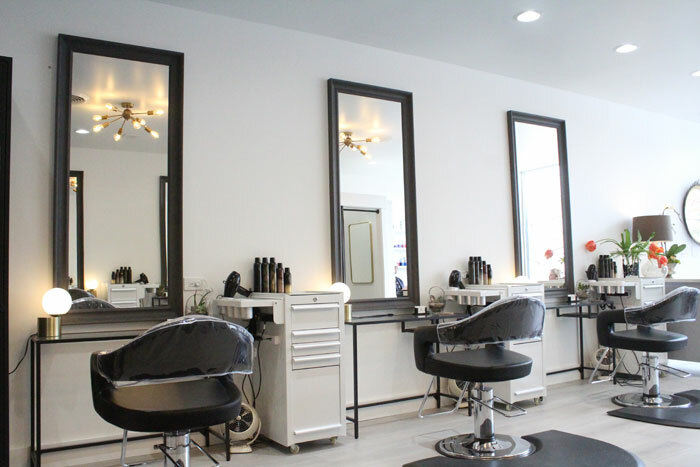 She was attracted to the old Salon in the Park space at 1839 42nd Ave. E. After another business ended up passing on opening there, work on Park Salon & Spa was able to start in January. And even the contractor ended up being a former hair dresser. “We used some of the bones that existed here already,” Covert said. A bathroom was removed to make room for another skincare room. “We were very attracted to the amount of light coming into the salon,” said Weir, adding there are also views of Lake Washington. Weir and Fuentes are running the five-chair salon in the front, while Covert is providing skincare and other spa treatments in the back. “We like working together because we all have a similar work ethic,” Fuentes said. “We’re happily codependent,” Weir added. Covert had a lot of clients who would see her at the Fairmont Hotel downtown for their spa treatments, and then go to lower Queen Anne to see Weir and Fuentes at the Gramercy salon, so bringing everyone together under one roof made sense. “I had to call him a couple of times,” Covert said. 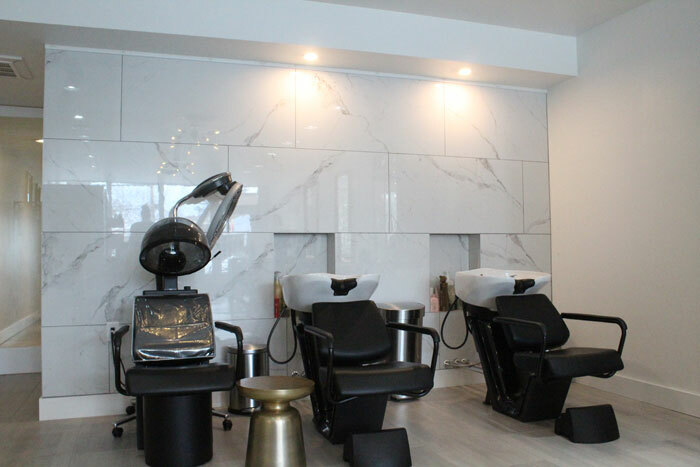 Park Salon & Spa opened softly in Madison Park on March 5. “We’ve been fully booked, Eric and I, several of the days,” Fuentes said. The five salon employees the business partners have tapped have also all worked with them at some point. Ward said the experience clients should have is that they’re in an intimate boutique setting. “It wasn’t by mistake that we’re keeping it to five chairs,” Weir said. 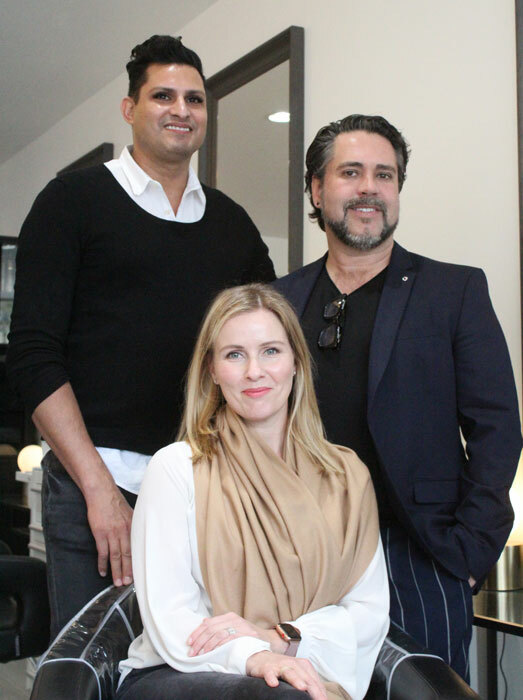 Weir and Fuentes work to balance trends and what’s appropriate for each client’s frame and skin tone, offering haircutting, coloring, highlights, hair extensions, blowouts and more. Weir said there’s always concern about staying current, and he and Fuentes undergo frequent continuing education. Madison Park has proven so far to be a good location for the Park partners and their clients, many of whom prebook an entire year’s worth of appointments, Fuentes said. Covert describes her spa as a merging of medical-grade skincare with European techniques. “You literally can change people’s skin with product these days,” she said. She’s promoting and selling Environ Skin Care products at Park Salon & Spa. Among the services she offers through the spa are microneedling, cold peels, nonsurgical facelifts, LED light therapy and detox wraps. A full list of hair and spa services can be found at parksalonspa.com. Businesses that open in Madison Park have staying power, and that’s the kind of stability the partners wanted, Weir said. “Our hope is to be here for a very long time and be part of the community, and add to it as well,” he said.